at·tend·ing [? ténding] adjective working in teaching hospital: serving on the staff of a teaching hospital The attending physician made the rounds of all the wards every morning. 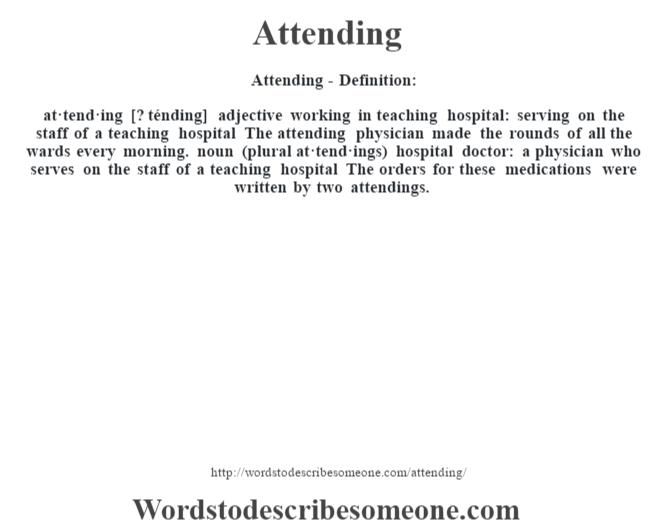 noun (plural at·tend·ings) hospital doctor: a physician who serves on the staff of a teaching hospital The orders for these medications were written by two attendings.